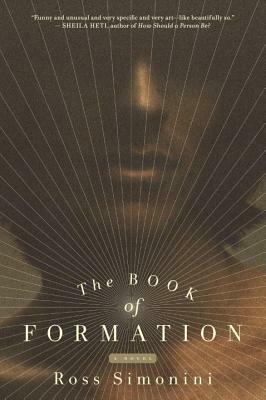 The Book of Formation sharply satirizes society's fascination with celebrities, including the cycle of worship and then disillusionment. Mayah Isle, celebrity “lifestyle therapist,” creates a personality movement encouraging people to completely transform their personalities and unlearn the "prejudice of identity." Her adopted son, Marshall, takes over the movement and brings it to global acclaim. Marshall’s ability to attract believers sets in motion the kind of fanaticism that is increasingly intense and ultimately dangerous. This is an unsettling, darkly humorous and stimulating debate on the meaning of personality and the nature of self. In the 1990s, a talk show host leads the "personality movement," an integrative approach to radical self-transformation. Mayah, the movement's architect and celebrity advocate, adopts a curious, wild child named Masha Isle. A guinea-pig for the movement, and the key to its future, Isle is the subject of the eight interviews that comprise this book. As the interviewer's objectivity disintegrates—even as the movement's legitimacy becomes increasingly suspect—he becomes obsessed with Masha. And all of that is thrown into question when tragedy strikes. Ross Simonini is an writer, artist and musician living in New York and California. He is the interviews editor for The Believer and contributes to the New York Times, McSweeneys, and Interview magazine. He exhibits art internationally and is a member of the band NewVillager. He teaches seminars at Columbia University on speaking, sound, and process. His first novel, The Book of Formation was published by Melville House. "The Book of Formation is about the deformation and reformation of not just the three main personalities in this book, but the idea of personality, in general. This modern-day Kaspar Hauser story is told in as a series of interviews (the interview being the form we have created for the worship of personality) in a sincere and surprising attempt to come to terms with the pain of having a body, and the unnecessary burden of being oneself; and with the discomforts of being famous, loved, despised, and just an anonymous member of the audience. If you want a book unlike any you have ever read, but like so many of the delicious things in our culture (The Oprah Winfrey show, Interview magazine) you have no reason not to begin the original, fascinating and humane Book of Formation.” —Sheila Heti, author of How Should a Person Be?